We believe food is so much more than a necessity. It's a way for us to connect with each other and to celebrate. Serving up good food & good vibes. We know the recipe for a good party. Our focus is on a whole sensory experience. Created for weddings, festivals and eating on the street. 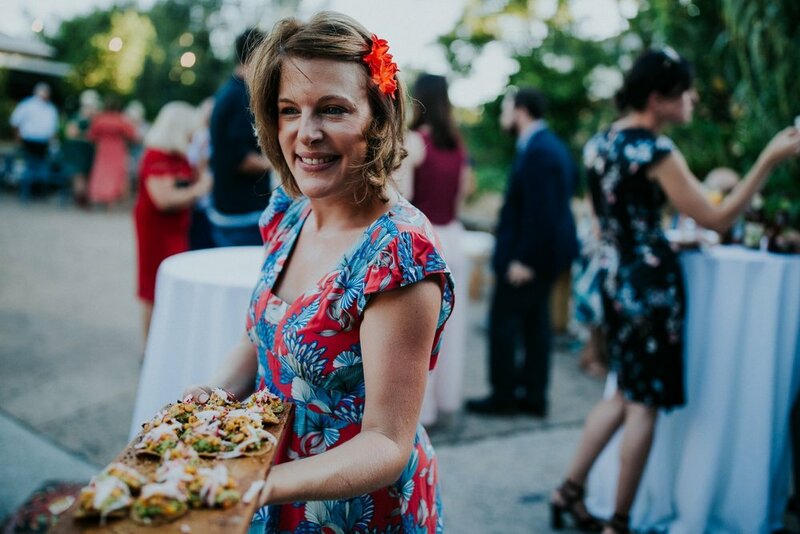 No words can say how amazing these guys and girls are, we booked them for our 20 year wedding renewal a few weeks ago and the food was more amazing than we imagined! Good food is flavourful, fresh and herbaceous. Bringing restaurant style, no-fuss food to you. Amplified and distinct to suit any space, crowd or creative vision. Flavourful food created with love. No fuss service and relaxed feel good vibes. Bold, herbaceous food that's uniquely planned to stand out at any event. Street food, coastal flavours and music all served with good vibes. Experimental dishes, secret locations and unique dining experience. “ One of the most important aspects of our wedding was to have beautiful food and plenty of it, and you absolutely knocked it out the park "